Chimère Diaw is the General Director of the African Model Forest Network (AMFN) in Cameroon and a member of the International Networking Committee of the IMFN (International Model Forest Network). He is one of the Coordinating Lead Authors of the ongoing Africa Regional Assessment of Biodiversity and Ecosystem Services for IPBES, the Intergovernmental Platform for Biodiversity and Ecosystem Services. A member of the Board of Directors of Ecoagriculture Partners, and of the LDC Independent Expert Group (IEG) on the UN Post-2015 agenda, he also is the convener in Cameroon of the Forest Governance Learning Group (FGLG), a network coordinated by the International Institute for Environment and Development (IIED) and active in 11 countries. Chimère holds a PhD in Economic anthropology from Laval University, an MA in Rural Sociology from Michigan State University and a Master in Philosophy and Sociology from the University of Dakar. 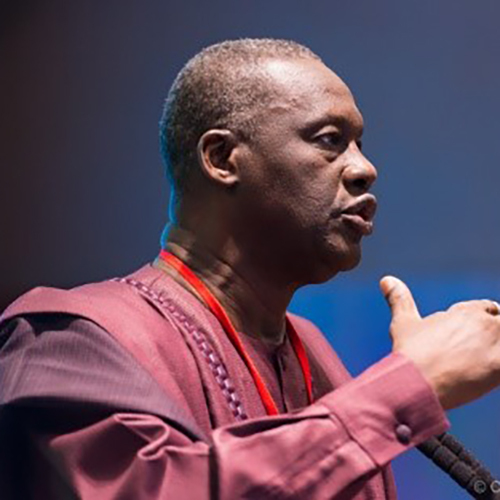 He has been a researcher and programmes manager for 35 years, 20 of which as international scientist with the International Institute of Tropical Agriculture (IITA), the Center for International Forestry Research (CIFOR), and the AMFN.